Student Organization Book Display: DREAMers Empowered! 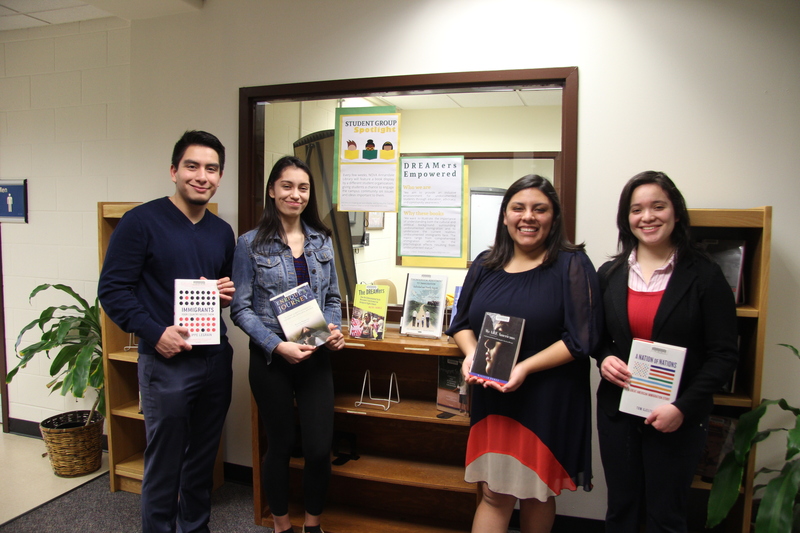 This semester, the Annandale Campus Library will be working with student organizations to create book displays, showcasing topics relevant to our own campus community. Below is our first featured group, DREAMers Empowered! DREAMers Empowered members stand with their display. Come to the Annandale Library to see their full display and learn more! If your student organization would like to create a book display, please contact hdarnell@nvcc.edu.